Kids can connect to an exciting section of the library designed just for them. Hardly a day goes by when we don’t have something going on for kids, from babies and tots to teens. Take home a good book from our huge library. Get a music cd or an age-appropriate movie. Internet computers are also available in the Children's Library for online research. Don't forget to check out our calendar for upcoming storytimes and more! Something is always happening in our Children's Library! Visit our calendar for a full list of programming. We have storytimes for all ages! They include stories, songs, rhymes and an art activity. For details about our Baby Steps, Toddler Time, Preschool Storytime and Bedtime Storytime programs, check our monthly calendar. Come build with us! Our staff chooses a new building theme each month. Kids build for about forty-five minutes, then judges choose a winner from each age group. Lego bricks and snacks are provided. The program, for ages 3-14, lasts about an hour and a half and is held once a month, at 1:30 p.m. on a Sunday. Visit our calendar for the next event. Come try out a new game or enjoy an old favorite! Chris Hough brings board games to share with 8- to 12-year-olds. Check our calendar for a complete list of dates and times. 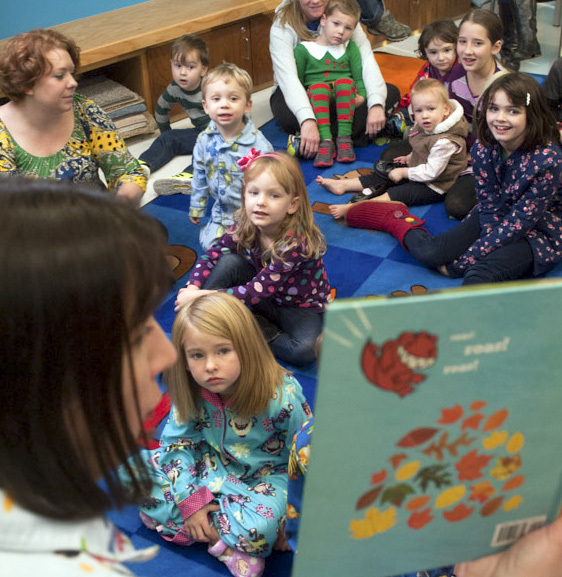 The Garland County Library and the 1,000 Books Foundation invite you to read 1,000 books with your child before he or she starts kindergarten. Studies have shown that reading with your child provides a great opportunity for bonding as well as preparing him or her for school. Reading together is fun and will create life-long memories for both of you. Start reading early. Begin any time from your child’s birth until he or she enters Kindergarten. Read at your own pace and enjoy your time together. Every book counts. You may include the books read to him or her by parents, caregivers, teachers, librarians, or siblings. You can even repeat books or listen to audiobooks. Add a sticker to the library sticker chart for every 100 books read, earn a pick-a-book when you reach 500 books read, and earn a special prize when you reach 1000 books. Learn more about the 1000 Books Foundation at www.1000booksbeforekindergarten.org.